Since the tech explosion in the 1990s, there have been countless attempts to come up with a digital currency that could be used online. The likes of Beenz, Flooz and DigiCash all disappeared as quickly as they’d arrived, with numerous reasons for their failure. It wasn’t until 2009, when Satoshi Nakamoto appeared on the scene and introduced the world to Bitcoin, that the notion of a genuinely useable crypto-currency came into being. Now Arsenal have become the first major football club in the world to sign up with a company that actively promotes the use of a crypto-currency. CashBet is a gaming company and they have just announced their decision to launch their own crypto-currency with the specific aim of introducing crypto-currency to the world of online gaming. They are now gearing up for the launch of their ICO, or ’Initial Coin Offering’, hoping to raise $40 million and get the name of their company out into the public realm. The deal with Arsenal will certainly help them to do that, given that the Gunners will allow the company to advertise CashBet Coin at their home ground, the Emirates Stadium. The answer to that question is far more complex than I can give a genuinely in-depth response to, so if you want to know in detail what is involved with crypto-currency then make sure you do your research. What I can tell you is that a crypto-currency is basically a digital form of money that is virtual and can be exchanged for goods or services in just the same way that cash is used. The major difference is that it doesn’t exist in a physical form, instead remaining online and simply bouncing from one account to another. The advantage of using crypto-currency is that transactions are as anonymous as it’s possible to be. Whether you want to buy a present for your partner without them knowing anything about it or get up to more nefarious activities, the advantages of leaving no trace of your activity online are clear. BitCoin, which is not only the original crypto-currency but also the most popular, can be used to pay for things such as hotel stays, jewellery or even flights to different countries. In recent times Apple have confirmed that numerous crypto-currencies can be used to pay for things on their App Store. 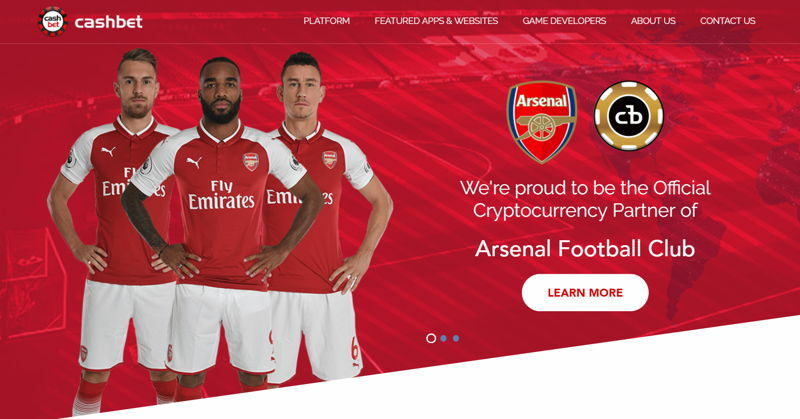 CashBet have confirmed that Arsenal Football Club will be their new Blockchain Partner, but what does that mean, exactly? One of the reasons why the initial online payment companies failed was that fraud was rife. A method known as ‘double-spending’ was common, whereby users would spend some of their funds and then spend it again, which could be done because there was no central record of transactions that had been carried out. A central record would be counter-productive to a method of payment that encouraged anonymity and an inability to track who paid whom for what. That’s where the idea of creating a ‘Blockchain’ came from. A ‘Blockchain’ is essentially a publicly available ledger of all payments that are made on the network. This means that everyone can see the account balance of everyone else, even if they don’t know who the account belongs to. Transactions feature the sender and receiver’s public keys, also known as their address wallet. Once everything is completed it will need to be broadcast to the network, but before that can happen the transaction needs to be confirmed. The people that confirm transactions are known as ‘Miners’, who solve cryptographic puzzles and receive a reward and the transaction fees as a result. If this all sounds complicated, that’s because it is. All you really need to know is that crypto-currency networks depend on all participants agreeing on the legitimacy of any and all transactions that take place. This all takes place ‘under the hood’, so it’s not something that average people engaging in crypto-currency need to worry about. It’s still helpful to know what it is, especially as Arsenal have now made themselves Blockchain Partners of CashBet for their new CashBet Coin venture. Another phrase you’ll have seen me use their is ‘ICO’, which is the acronym for an Initial Coin Offering. This is the crypto-currency equivalent of an IPO, or Initial Public Offering, that regular companies do when they ‘go public’ and allow average people to buy stock. The difference is that ICOs are done by companies that are launching a new crypto-currency and hope to raise money from the sale of said currency. They will release a plan of how much money they want to earn and what it will be used for. In the case of CashBet, the aim is to raise the $40 million I mentioned before. Their aim, according to the company’s website, is to “solve the issues facing crypto-gaming operations today: trust, speed and cost.” They want to give their players total transparency on their transactions, more protection over their play and a more flexible way of paying for their services. They believe that CashBet is the only iGaming Platform that is ‘crypto-ready’, which they aim to prove once they’ve raised the necessary funds through their ICO. 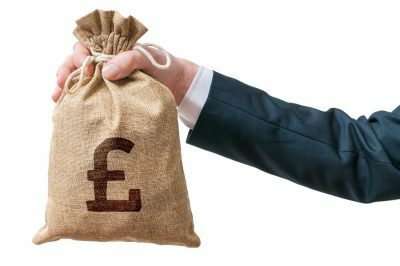 One of the immediate questions that you’ll want to ask yourself before getting too heavily involved in this deal is who exactly CashBet are. The company was formed in 2012 by a group of veterans from the online gaming world, keen to create an iGaming Platform that would make things as easy as possible for the consumer. The concentrated on real-money, social, lottery, and skill-based gaming for mobile-only platforms. In terms of experience, the members of the company have previously created and sold online gaming platforms for the likes of US Digital Gaming and CyberArts. They are licensed to operate by both the Alderney Gambling Control Commission and the UK Gambling Commission; though that isn’t quite as straight-forward as you might think, as I’ll come on to explain. Certainly the move into crypto-gaming and the launching of the Initial Coin Offering, as well as the partnership with Arsenal, will project the company into the public conscience like never before. What Are They Both Saying About The Deal? As you might well imagine, both CashBet and Arsenal Football Club have had a fair bit to say about the deal following its announcement. That said, the Gunners were less vocal on the matter than CashBet were, possibly because they’re not entirely sure what they’re getting themselves into. The club’s Chief Commercial Officer, Vinai Venkatesham, said, “We are pleased to welcome CashBet Coin as our partner. We are looking forward to working with CashBet Coin as they launch their new cryptocurrency”. Meanwhile the CEO and Founder of CashBet, Dr. Mike Reaves, was a little more erudite. He said, “With our ICO for CashBet Coin we are actively targeting a global, multi-billion dollar marketplace of iGaming content providers, operators and players. 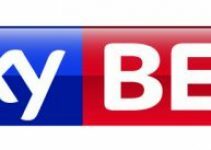 We are delighted to do so in partnership with one of world football’s true giants in Arsenal, enabling us to build our brand and engage this audience in a meaningful way. Designed specifically for iGaming, CashBet Coin will improve the online experience for real money, casino, social, skill-based, eSports and sports betting players through increased trust and transparency, faster payouts, reduced fees and dedicated player protection”. Once you’ve figured out what crypto-currency is, if you didn’t know already, who CashBet are and how an Initial Coin Offering works, the next question is obviously about whether or not it’s worth your time and money investing in the company. I’m not qualified to answer that from the point of view of a financial adviser, so the following is merely my opinion mixed in with some quotes from industry experts. If you don’t already know about it, crypto-currency is a complicated market to get involved in. As I’ve already said, your money doesn’t physically exist in the same way that it does if you have money in a traditional bank account. As things stand you won’t be able to go up to a cash machine and withdraw 100 CashBet Coins. Instead it’s all online and stored in an e-wallet, useable for specific transactions or for swapping to other crypto currencies. According to the Financial Conduct Authority, ICOs are a ‘high-risk, speculative investment’. That should tell you that rushing into buying some of these new coins might not be all that wise if you don’t already have a grounding in crypto-currency or, at the very least, have enough disposable income to mean that it won’t hurt you if your investment goes wrong. This is perhaps best summed up by the author of ‘Attack Of The 50 Foot Blockchain’, David Gerard. He said, “Crypto-currencies are less regulated than regular betting shops and it’s a lot harder to get actual pounds back out again”. I mentioned earlier that CashBet’s licensing by the Alderney Gambling Control Commission and the UK Gambling Commission was a little complicated when it comes to the company’s Initial Coin Offering. That’s because it’s been confirmed that this licence does not extend to cover the crypto-currency that CashBet are releasing, meaning that if things go wrong then you won’t have an obvious fallback. That might be why an Arsenal spokesperson said, “The partnership aims to promote CashBet Coin ahead of their Initial Coin Offer on 24 January. It does not exist to encourage fans to bet with CashBet Coin”. If you know all about crypto-currency or aren’t too concerned about the risks involved then you’ll be interested to know that the ICO began with a pre-sale on the 24th of January. That will last until the 20th of February and tokens will have an initial price of $0.50, with a minimum initial purchase that’s the equivalent of $25,000. The tokens will then go on sale to the public from the 20th of March, with a 10% sale on the first day and a 5% sale during the second 24 hours. After that they’ve return to full price and the sale will continue until 5pm Greenwich Meantime on the 27th of April.